The India Cluster mapping project was motivated by research findings on the presence of clusters, economic performance and cluster based economic development. This section mentions some of the key publications that have been referred to by the research team engaged in this project. There is much wider range of literature available on these subjects with contributions from many scholars and academicians. This paper examines the basic facts about the regional economic performance, the composition of regional economies and the role of clusters in the US economy over period of 1990 to 2000. The European Cluster Panorama 2016, launched at the European Cluster Conference in Brussels on 1st December 2016, provides an updated perspective on clusters and emerging industries across Europe. It documents the role and benefits of strong clusters, and shows how emerging industries continue to outperform the rest of the economy. This paper offers a critical evaluation of the ‘Flexible Specialisation’model which asserts that a new and dominant model of industrial organisation based upon craft principles is emerging, or can be nurtured in places where it does not yet exist. From the advent of electronic communications, there’s been talk about how the world has been shrinking. Frances Cairncross, senior editor for the <i>Economist</i>, makes her case from an economical standpoint: The growing ease and speed of communication is creating a world where the miles have little to do with our ability to work or interact together. Cairncross predicts that it won’t be long before people organize globally on the basis of language and three basic time shifts–one for the Americas, one for Europe, and one for East Asia and Australia. Much work that can be done on a computer can be done from anywhere. Workers can code software in one part of the world and pass it to a company hundreds of miles away that will assemble the code for marketing. And with workers able to earn a living from anywhere, countries may find themselves competing for citizens as people relocate for reasons ranging from lower taxes to nicer weather. Cairncross discusses about 30 major changes likely to result from these trends, including greater self-policing of businesses, an unavoidable loss of personal privacy, and a diminishing need for countries to want emigration. 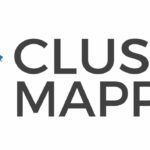 The rich data on clusters generated in this project provides the foundation for improving the general knowledge about the nature and role of clusters.